A former standout NCAA Division 1 athlete, Coach Lauren Evans offers her services to runners of all abilities and triathletes who especially would like to improve their run. 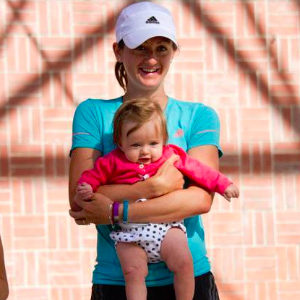 She has 10+ years of coaching experience and is a pioneer in coaching with power for runners. She received her USA Track and Field Level 2 Certification under the father of USATF Coaching Education, Dr. Joe Vigil and is currently obtaining her Level 3 Cert, preparing her to coach national/Olympic level athletes. Coach Lauren Evans has over 10 years of coaching experience and is a pioneer coaching with power for runners. In her coaching career so far, she has coached over 20 athletes who had previously not qualified for the Boston Marathon to the qualifying standard. She has also coached over 40 Ironman and half Ironman athletes, and over 200 athletes overall. She is most proud of those athletes who she helped recover from injury in order to help them reach a goal that they never thought possible. In her individual coaching plans, she prioritizes communication and individuality, and she focuses on the strength, form, and mobility needed in order to run healthy. Lauren is currently obtaining her Level 3 Certification, preparing her to coach national and Olympic level athletes. She is an experienced strength trainer, certified through the American Council on Exercise and is a certified coach through USA Cycling. A two-sport NCAA Division 1 athlete at Furman University, she was named MVP for the tennis team and was named runner of the month conference-wide for cross-country. Post-college, she has placed 3rd in the American River 50 Miler, run a sub-3:00 marathon, and won numerous local races from the 5k up through the half marathon distance. In her free time, she enjoys spending time with her daughter and husband, running with her border collie, and volunteering with local organizations including those that help keep local parks beautiful. Lauren requires that her athletes are goal-oriented, are responsible, and are driven in order to reach their goal. She requires open communication with her athletes. Success. Coach Lauren Evans has been notified of your message.